This is another image from the Bi-plane Fly-In that was held in Junction City a couple of weekends ago. 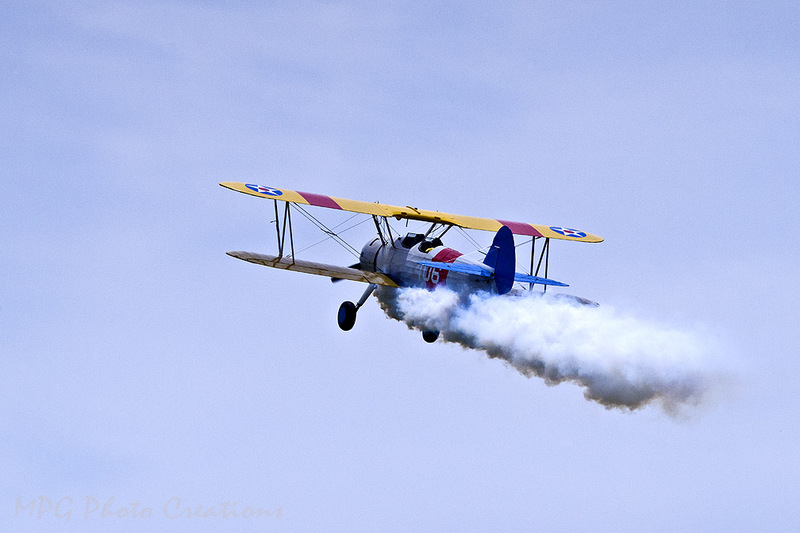 This plane was flying around putting on a show and sending out smoke trails like the one I was able to catch here. It made for an impressive show.